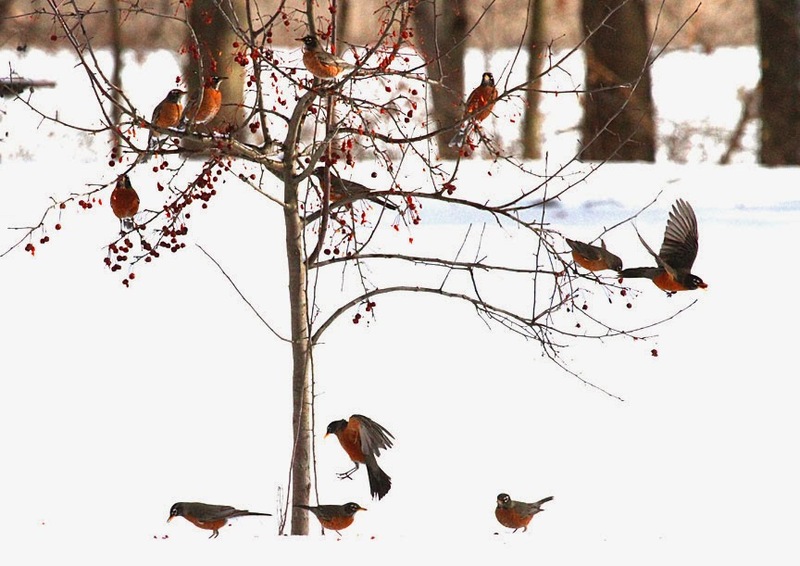 Feeders full of black-oil sunflower seeds and squares of suet are attracting lots of birds this winter. 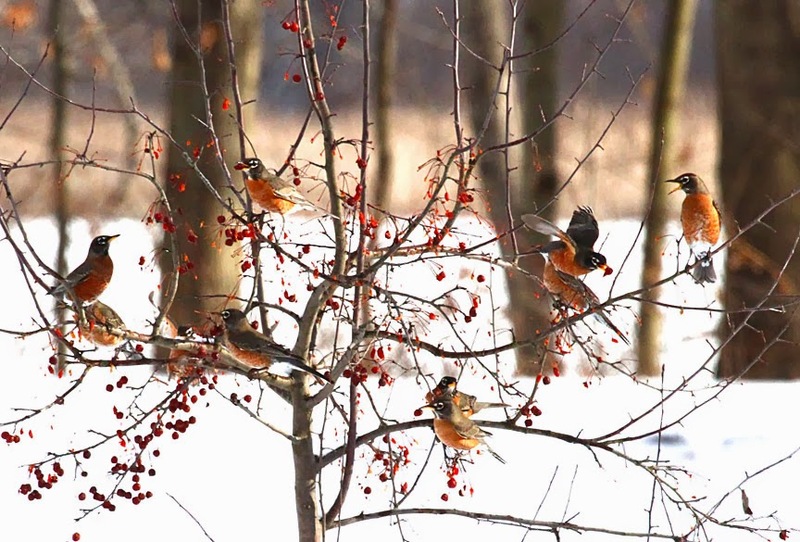 But these robins rather dine on fruit and berries. 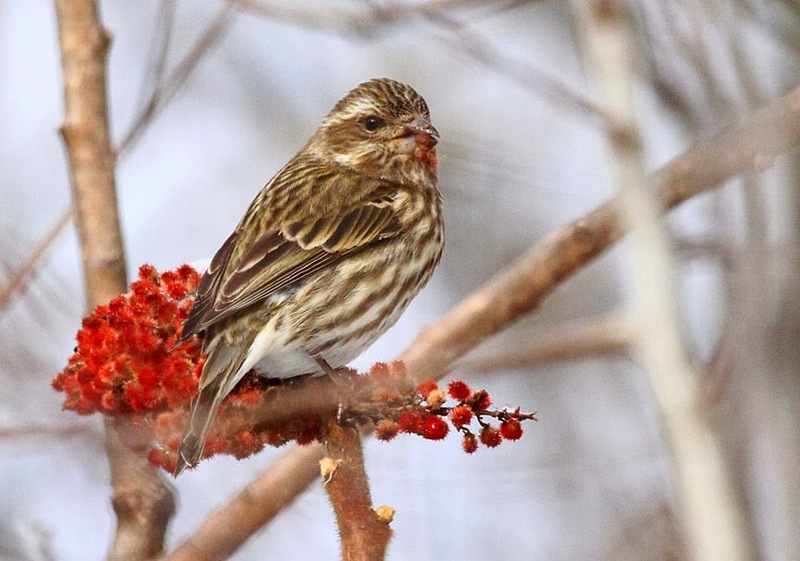 Purple finches love our feeding stations and also enjoy the seeds of staghorn sumac. 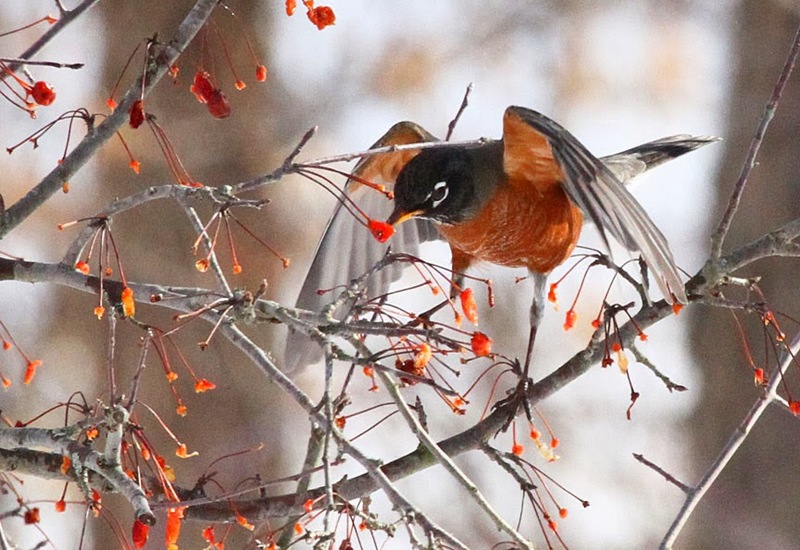 We saw huge flocks of robin at Herrick's Cove in Bellows Falls on one sunny and not so cold day, stripping the crabapple trees of all the berries. 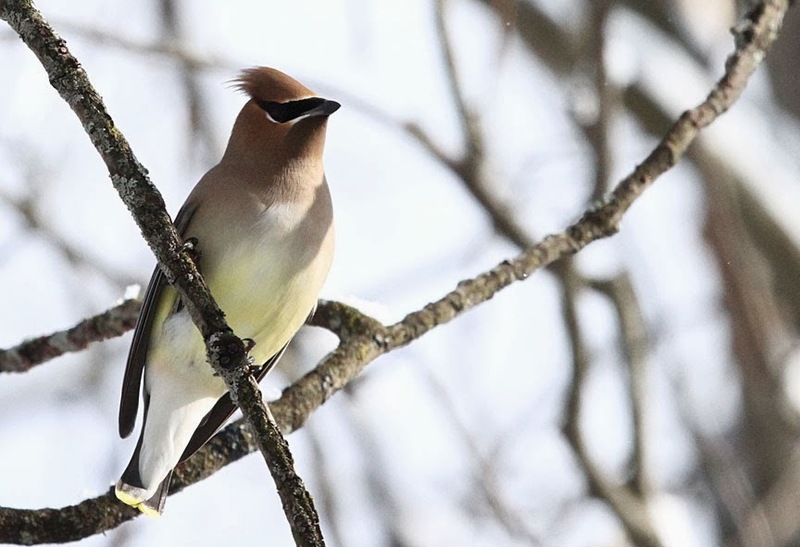 Flocks of cedar waxwings seem to be everywhere too. 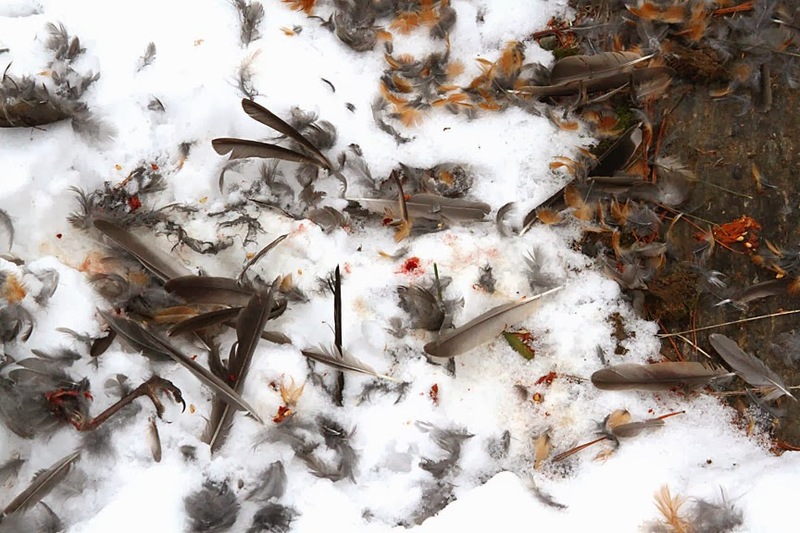 No seeds or berries for raptors! They prefer their small, feathered relatives. 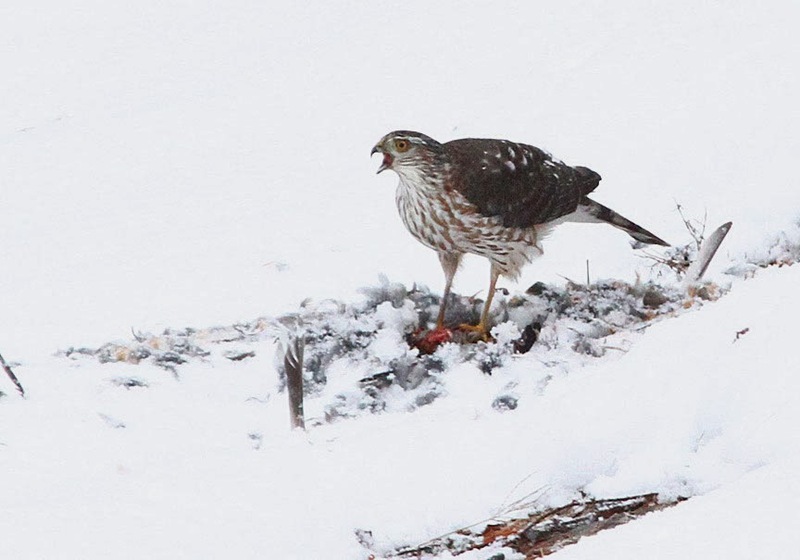 This sharp-shinned hawk managed to grab an unsuspecting robin. 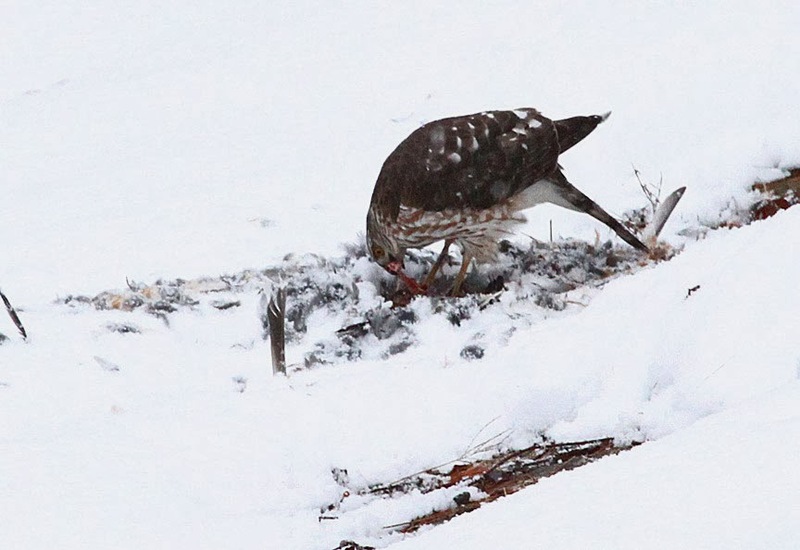 She took her time eating then flew off with the carcass. 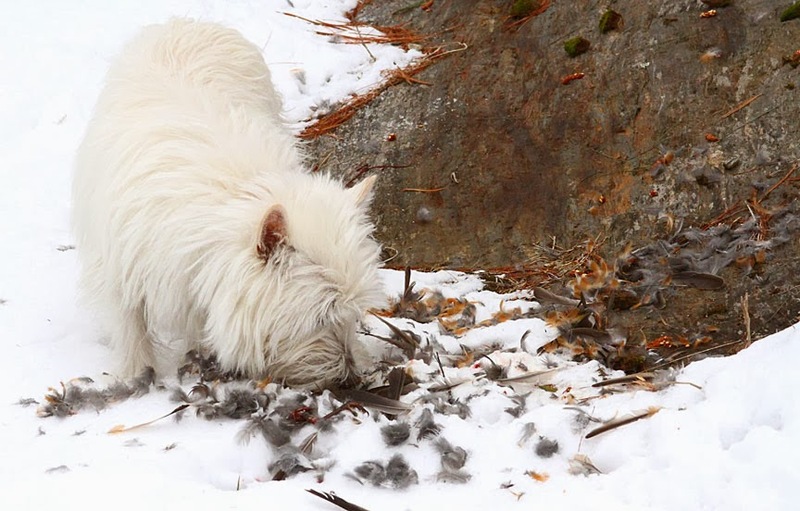 which makes for an interesting investigation by a curious westie named Merry! Red-headed Woodpecker, a Rare Visitor!